Amber Schober is a young woman who has been diagnosed with an extremely rare auto-immune disease called MPA. Her immune system attacked her kidneys causing them to fail. Because of this disease she had been on dialysis four times a day, seven days a week since last year when her kidneys began to fail. Amber has struggled through many medical complications and hospitalizations, and a kidney transplant is her only chance for survival. Amber has recently relocated from Salmon, Idaho, to Missoula, Montana. She is a single mother raising a beautiful daughter. In a few months, if all goes well, Amber will receive the gift of life from her mother, a living donor kidney transplant. Because of the extraordinary expense of transplant, funding this life saving operation is a monumental task. Despite having insurance, many of Amber’s medical needs are not covered and must be made out of pocket. There are sure to be substantial uninsured costs such as life long immunosuppressant medications, travel to and from the transplant center, relocation at the time of transplant, and more. This presents a huge challenge Amber cannot meet alone. 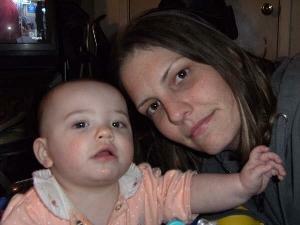 To help offset Amber’s uninsured costs, a fundraising campaign had been started through HelpHOPELive. HelpHOPELive is a nonprofit organization that has been assisting the transplant community for 30 years. All contributions are administered by HelpHOPELive exclusively for uninsured transplant related expenses. Donations are tax deductible to the full extent allowed by law. You can make a difference in Amber’s life; please consider a contribution.Funding Amber’s transplant is a huge undertaking and we really need your help. Your financial gifts and prayers are greatly appreciated. I will say many prayers for you and your family. Prayers do come true if you have the faith. I will pass this along to all I know. Oh, by the way, Debbie Gage is my cousin. Take care and thinking of you all. Amber, Charlee, and Deborah, I try to not be intrusive, but Please know that you are loved so much, and if there is anything I can help with, let me know. Dear Amber All of the employees and management wish you the best in all that you are going through.